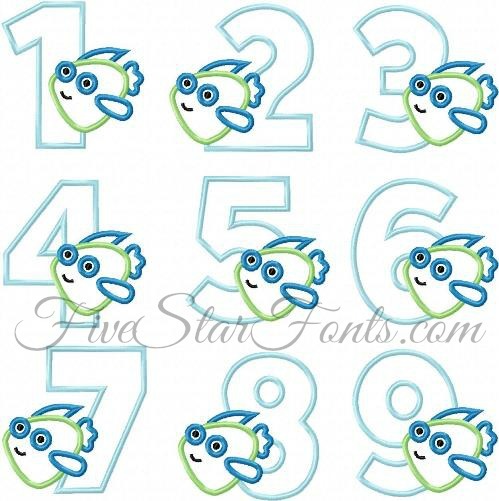 Super Cute Fish Applique Numbers, simple and sweet, just 4 pieces of fabric. 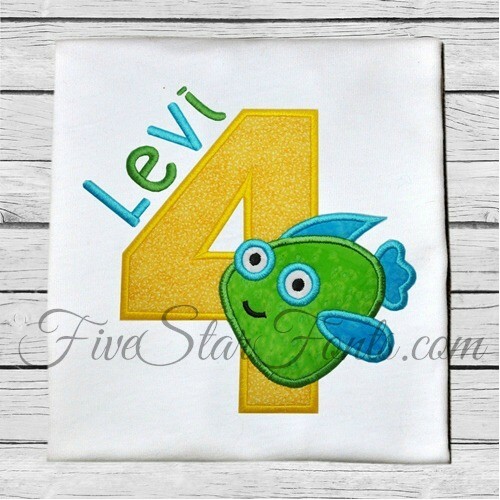 Fast to stitch too! 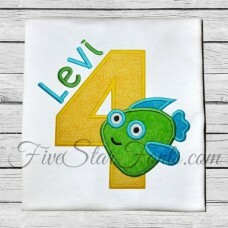 We used our Vacation Embroidery Font for Levi's name. The link can be found in 'Related Products' tab above.